You have got a plenty of place to enjoy fine dinner around the corners of the city beautiful. Here we are with the top 10 best dinning places in Chandigarh. This is one of the best veg restaurants in Chandigarh that is very innovative with their cuisine. Not only is the innovation when it comes to food but also when it comes to antiquated interiors. The place offers you a blissful environment having a European style kitchen. Offering a some what rustic appearance, the ambience of the place caters for an elegant outdoor seating. You may term it as one of the best romantic restaurants in the city beautiful. Here you are offered the mouth watering Italian cuisine in a really tranquil countryside setting. You may also enjoy the wines here. If it is the buffet that you aim for then Chilli & Pepper is the right choice for you. you get here the best food at a very reasonable price. The regal ambience and the modish decors are enough to attract you besides the scrumptious food. Cafe JC’s serves you the delicious diverse Cuisine in a regal interior. Not only is the inside ambience worth but the outdoor sitting is also serene. This place is a perfect blend of taste and place. you will get all the reasons to visit the place time and again. Cafe Jade is popular in the city for serving you the Chinese food. Also, the process of he place are pocket friendly and they also facilitate take away. It is again a perfect rsaurant to have the family dinner. The place offers the best authentic South Indian food in a sophisticated family restaurant. This is again a paradise for those who are for pure vegetarians. Seafood is exactly what makes Swagath restaurant a worth visiting place. it is known to serve the flavourful dishes from diverse cuisines laying a greater emphasis on the South Indian food. With an elegant ambience, you also get to enjoy the ambience and the services of the courteous staff. You ca choose a lot from the elaborate menu that it offers. This place offers you the best South India food in an ambience that is quiet and soothing. It is a perfect place for the family get together. Shangri la is popular for serving the guest with the best Chinese cuisine. 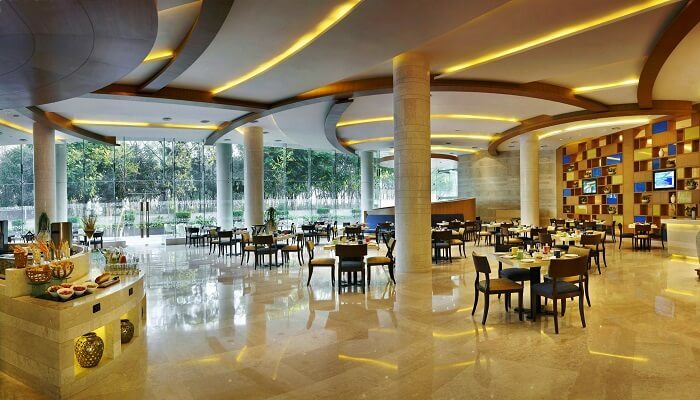 There is a wide seating arrangement in a contemporary ambience, giving it a perfect family dinning essence. Sagar Ratna is one of the best places to visit in the city if you wish to have pure vegetarian food. Also, it is a perfect location for the family dinner. There are amny outlets of the same across the city. All in all, these are the Top 10 Best Dinning Places In Chandigarh that you can explore with your family and friends.